Made of heat treated tempered tool steel, these transfer punches measure 4-7/8" long and are slightly undersized for easy use. Set: 25-Pc., Sizes: Metric. 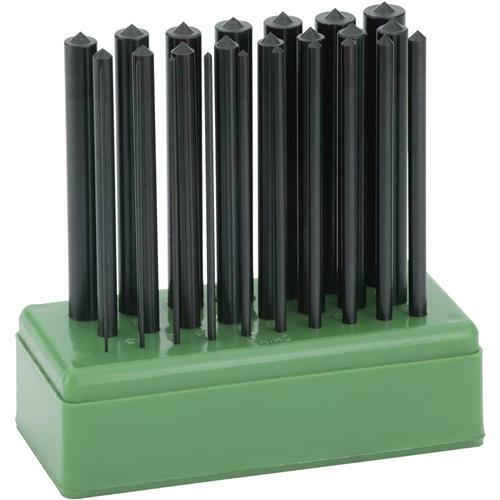 This set of metric transfer punches are a very good deal. The diameters are accurate. And tbe punch point seems to be hardened enough. Grizzly came up with the best price for a full set at the time I did an Internet search.